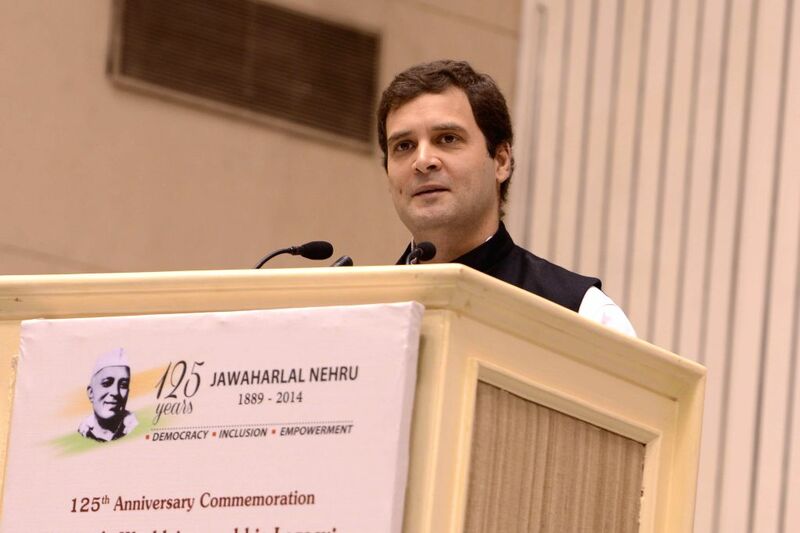 New Delhi: Congress Vice-President Rahul Gandhi addresses during a conference organised to discuss "Nehru's Worldview and his Legacy: Democracy, Inclusion and Empowerment" on 125th birth anniversary of Pandit Jawaharlal Nehru on Nov 18, 2014. 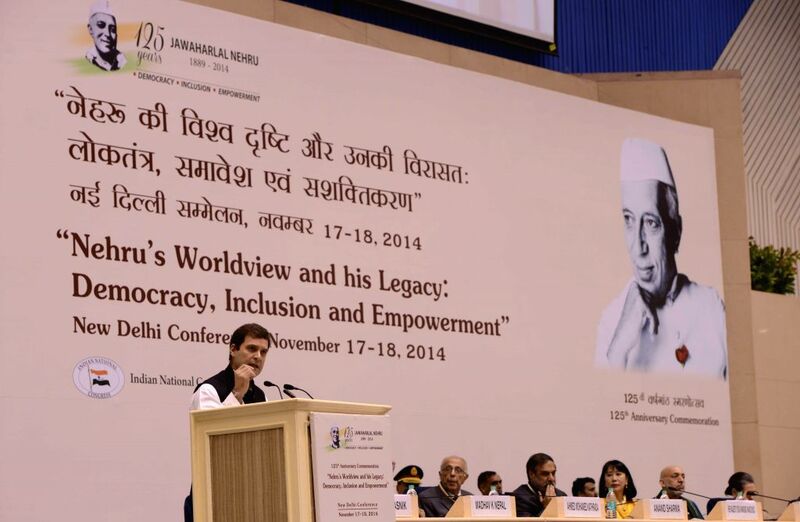 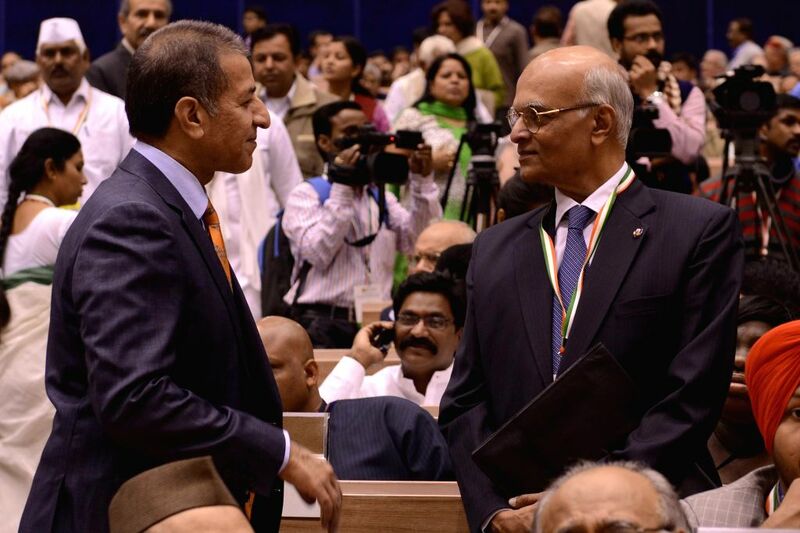 Telangana Governor E S L Narasimhan a conference organised to discuss "Nehru's Worldview and his Legacy: Democracy, Inclusion and Empowerment" on 125th birth anniversary of Pandit Jawaharlal Nehru on Nov 18, 2014. 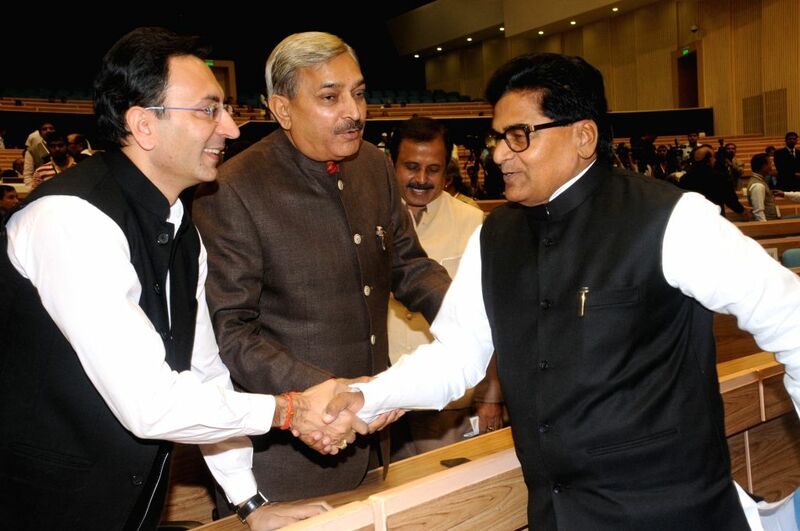 Samajwadi Party leader Ram Gopal Yadav and others during a conference organised to discuss "Nehru's Worldview and his Legacy: Democracy, Inclusion and Empowerment" on 125th birth anniversary of Pandit Jawaharlal Nehru on Nov 18, 2014. 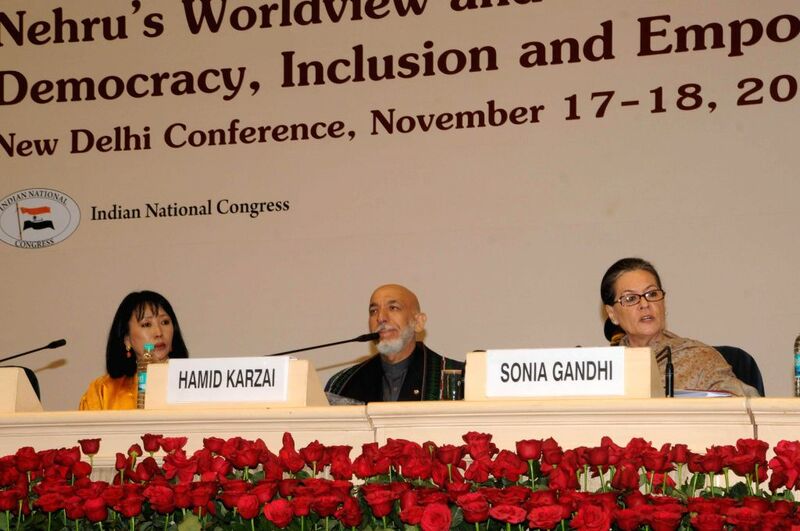 Congress President Sonia Gandhi, Queen Mother of Bhutan, Ashi Tshering Yangdon and former president of Afghanistan Hamid Karzai during a conference organised to discuss "Nehru's Worldview and his Legacy: Democracy, Inclusion and Empowerment" on 125th birth anniversary of Pandit Jawaharlal Nehru on Nov 18, 2014. 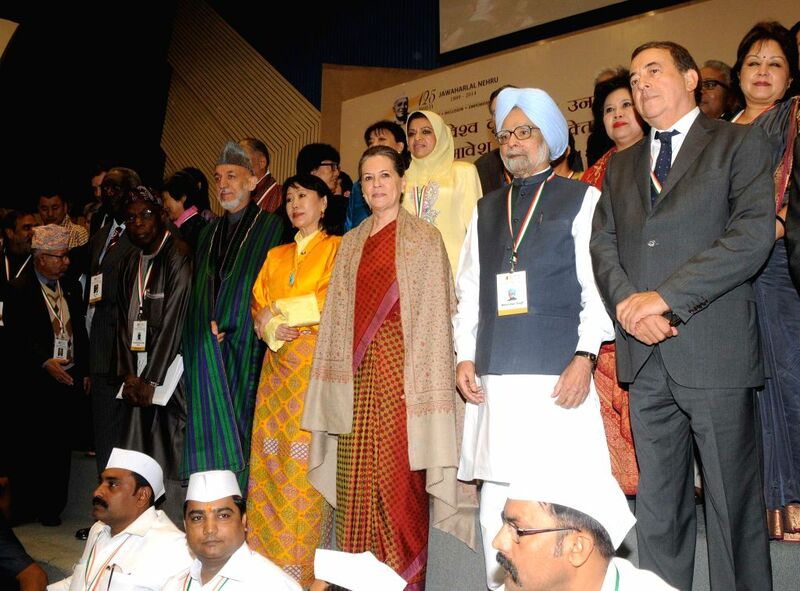 Congress President Sonia Gandhi, former prime minister Manohan Singh,former president of Ghana John Kufuor, Queen Mother of Bhutan, Ashi Tshering Yangdon, former president of Afghanistan Hamid Karzai and others during a conference organised to discuss "Nehru's Worldview and his Legacy: Democracy, Inclusion and Empowerment" on 125th birth anniversary of Pandit Jawaharlal Nehru on Nov 18, 2014.